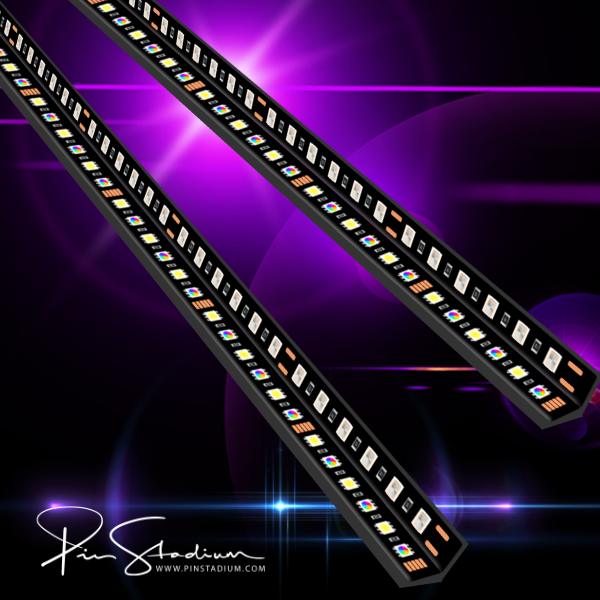 Pin Stadium is an RGB(Multi Colored) + White GI lighting kit that is independently controllable with our free IOS and Android app. 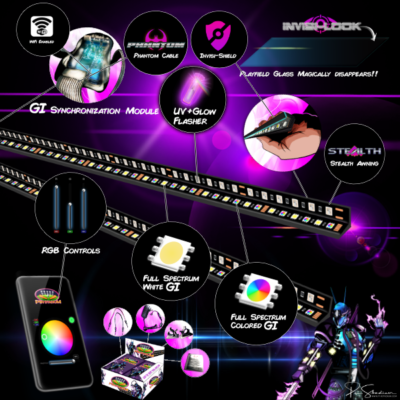 GI Module Plug-in allows you to connect the light bars and provides full integration of the Pin Stadium lights with your pinball machine by allowing the machine to gain control of the GI portion of our lights to create very rich synced cinematic and theatrical effects with modes as originally intended by the manufacturer. 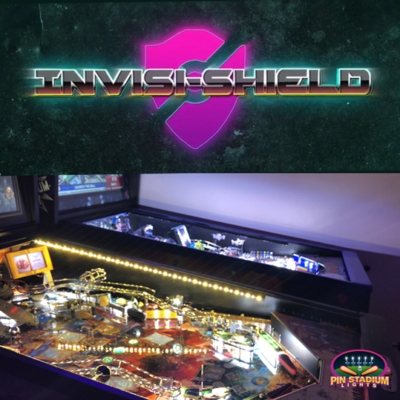 The Invisi-shield is and added Option at an Additional Cost, a must have as it makes the lights completely stealth from the side view.